Enjoy this snippet from 2013 featuring Ralph Roddenbery and friends under the tent in a raw and soulful version of “Pushin’ On A Pull Door” – a Hootenanny Revival! 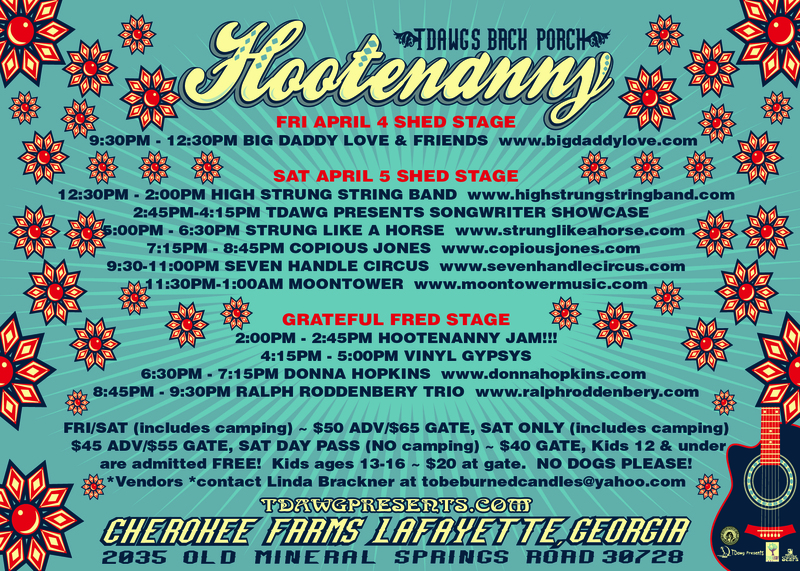 Harvest Family Hoot 4/6-7 ~ Lineup & Early-Bird Tix! 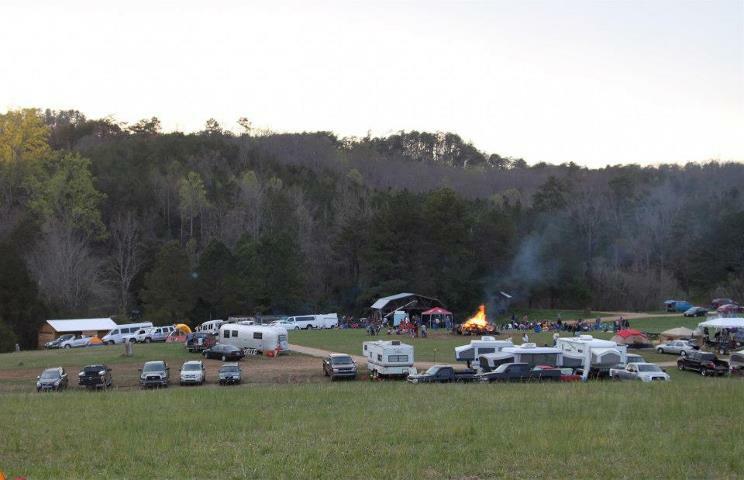 Mark your calendar for the weekend of April 6-7, 2018 for a celebration of 20 years of TDawg Presents (aka TDawg’s Productions, Eye Dawg Productions) bringing concerts to Atlanta and the Southeast at our home away from home, Cherokee Farms! Artists-at-Large: Bill Fleming / Richie Jones + a couple more! TDawg Presents Songwriter Showcase at the Hootenanny! TDawg Presents is excited to bring back the songwriter showcase that created such a great vibe at the Keel Family Function back in 2010 (See picture below) with a fresh roster of musicians to work with. For those of you who attended that event and witnessed the two-set songwriter marathon featuring Jeff Sipe on drums throughout, expect the same sort of energy with the musicians involved this time around. Let’s promote the songwriters! Please spread the word about this unique set – a perfect way to enjoy the afternoon! SAT DAY PASS (NO camping) ~ $40 GATE. Kids 12 & under are admitted FREE! Kids ages 13-16 $20 at gate. NO DOGS PLEASE!